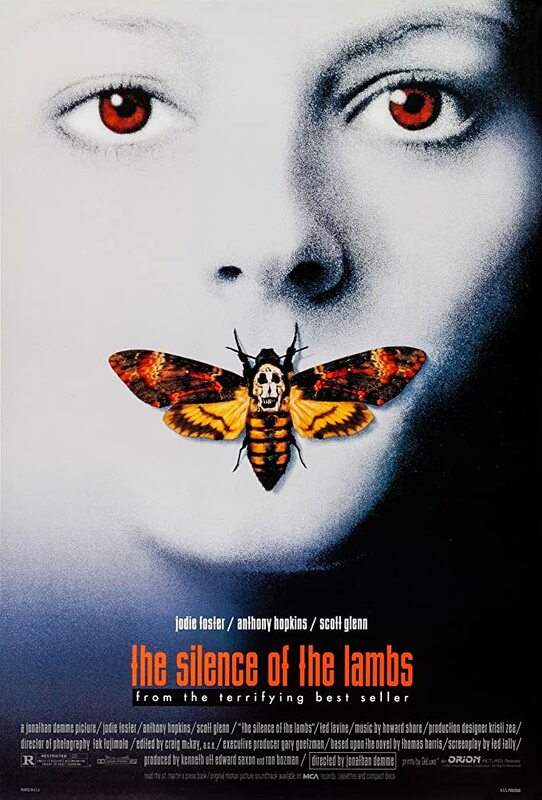 Movie: "The Silence of the Lambs"
A student at the FBI Academy is asked to interview imprisoned serial killer Hannibal Lecter in the hopes that he can offer insight into the Buffalo Bill case where a serial killer abducts women and skins them. Legumes and an Italian red wine have never been so unsettling. "The Silence of the Lambs" is directed by Jonathan Demme, who has helmed films like "Something Wild," "Married to the Mob," and "Philadelphia." The screenplay is written by Ted Tally and is based on the second novel in the Hannibal Lecter series by Thomas Harris. 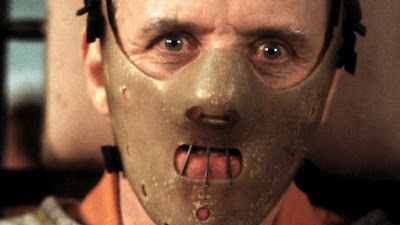 It tells the story of FBI trainee Clarice Starling (Jodie Foster), who is asked by Jack Crawford (Scott Glenn), the head of the behavioral science division of the agency, to do a profile and interview of notorious serial killer Hannibal Lecter (Anthony Hopkins). Crawford wants Starling to gain Lecter's trust in the hopes he can offer some insight into an active serial killer known as Buffalo Bill (Ted Levine), who kidnaps women, kills them, and skins them. Starling accepts Crawford's request and hopes it will quickly advance her career once she graduates from the Academy. 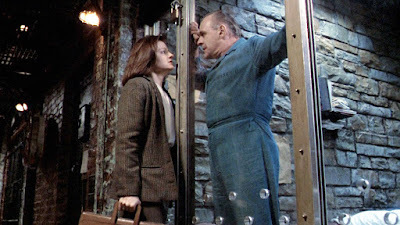 It's hard to add anything new to the discussion and discourse when it comes to a movie like "The Silence of the Lambs." There are only so many ways to extol the virtues of one of cinema's best films. We have seen this movie multiple times, and even nearly 28 years after its release, it still holds up incredibly well. Jodie Foster is fantastic as Clarice Starling, the young, hard-working FBI trainee with a drive to succeed and hidden trauma in her past. She gives a brilliant, layered, impassioned, and nuanced performance and is one of the reasons why this movie is as amazing as it is. That being said, credit also must be given to the magnificent Anthony Hopkins. Though his screentime is brief, Hopkins makes a tremendous impact, giving an eerie, flawless performance that will stick with you for the rest of your life. Every brilliant actor has a transcendent, career-defining role, and Hannibal Lecter is that accomplishment for Anthony Hopkins. 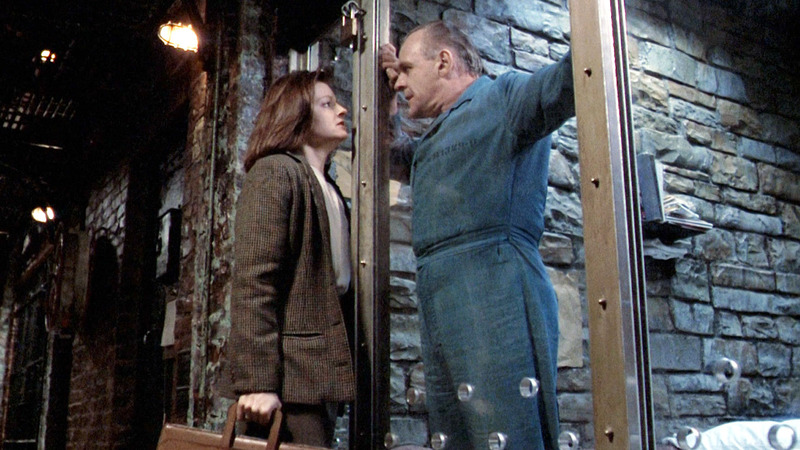 "The Silence of the Lambs" is one of the few films in Academy history to take home the Oscars 'Big Five.' It won Best Actor, Best Actress, Best Screenplay, Best Director and Best Picture, and we can certainly see why. It is so rare in Hollywood that everything comes together so well to create such an engaging, memorable, riveting, tension-filled, exciting, horrific piece of cinema that has a cross-generational appeal that can stand the test of time. 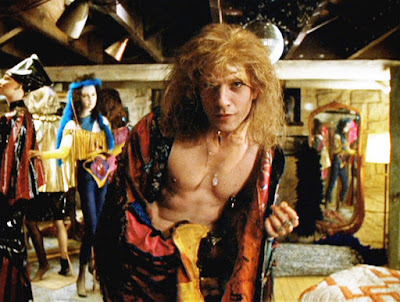 Jonathan Demme's technical masterpiece is definitely high on the must-see list for anyone who loves movies. I love love love movies, but absolutely hated this one. I have worked with people like him in treatment centers or with people who have been traumatized by people like him. Hollywood keeps on glamerizing abuse and psychos.